When the United Nations (UN) announced in 2000 a 15-year effort to implement eight Millennium Development Goals (MDGs), it began what arguably was the most significant worldwide effort to build a “good society.” The effort enjoyed some important successes. Those living in extreme poverty decreased by 50 percent, from just under 2 billion to under 1 billion. The number of primary school-age children not attending school decreased from approximately 100 million to just under 60 million. Maternal health care dramatically improved in many areas. At the same time, many commentators and the UN itself have acknowledged that these accomplishments did not reach numerous parts of the world, especially impoverished countries. With the approval of its member states, the UN initiated an even more ambitious effort as the MDG effort wound down. 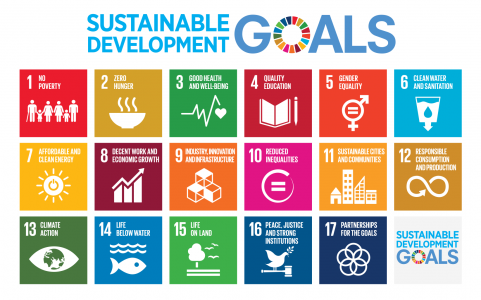 In Fall 2015, it announced Agenda 2030, which included 17 Sustainable Development Goals (SDGs). One year ago, the UN asked its Committee of Experts on Public Administration, whose 24 members are nominated by its secretary general and confirmed by its Economic and Social Council, to identify ways to effectively implement and achieve the SDGs. In my role as the committee’s vice chairperson, I was asked to develop a report on how national governments can enhance their ability to do so. Based on a review of prior scholarship, government and UN task group reports and an examination of five countries’ experiences, my co-author, Vaiva Kalesnikaite, and I raised key points. In the case of the MDGs, it took nearly one decade for most countries to begin to connect the UN initiative to their own national development strategies; even when they did, large parts of their government, especially provincial and local officials, had little or no knowledge about the MDGs and their objectives; this lack of understanding was even more pronounced when it came to the citizenry at large. As for the UN’s current efforts to promote and encourage implementation of the SDGs, most countries are drawing on the institutional architecture created to implement the MDGs. As a result, integration of the SDGs into national development initiatives are advancing more quickly than had been the case with the MDGs. Similarly, the UN and many countries’ national governments and non-governmental organizations are making greater efforts to engage regional and local authorities in initiating implementation policies and strategies. Yet a puzzling question looms: How to engage a nation’s citizenry to better understand and support the major national commitments that are a necessary precondition to successful implementation. Without significant citizen support and encouragement, political leaders are not likely to be motivated to make hard political and economic decisions that effective implementation requires. It is here that public administration educators and trainers—and especially their professional associations—can begin to play a small but potentially critical role to build a good society. There are many professional associations in the field of public administration. Indeed, every major region of the world has at least three or four—ASPA, NASPAA, IASIA, NISPAcee, EGPA, CLAD and AGPA, to name just a few. Each organization should undertake an initiative to encourage every academic program—both undergraduate and graduate—and practitioner-oriented training program with which it is connected to offer classroom sessions on SDGs and their implementation. This could begin to make a real impact by advancing knowledge and a better understanding of the SDGs and how their implementation can produce extraordinarily positive benefits to the world’s people. This initiative would impact current and future government officials and, in the case of university programs, students and the citizenry more generally. Equally important, it would not be burdensome to implement. Working through the professional associations, the effort would reach tens of thousands of institutions engaged in public administration education and training. The fact is that reports like the one I co-authored are immediately translated into all of the UN’s official languages and readily available for download at no charge on the UN website. These documents could provide relevant informative reading materials. Would such an effort, by itself, solve the truly significant problem of making the SDGs much better known in every corner of the world? Obviously, no. Would it begin to help in such an effort? Emphatically, yes. If our associations successfully initiated it, it would not be hard for leaders of our field to engage their counterparts in other academic disciplines and practitioner-oriented professional associations. Taken together, spreading the word about the importance of successful SDG implementation could change the world for the better. After all, that is what public administration is all about.